Highly impressed, room was much bigger than in the photos which was fantastic and a stunning pool. We stayed for two nights and it was just such a great price! The layout of the Villa was so aesthetically pleasing (even better than the pictures) and the service provided by staff was simply amazing. Whenever we needed a shuttle, taxi, food, or had any questions in general, someone was always there to help and made everything a breeze. When we first arrived, my partner and I had trouble getting a converter to work so that we could charge our phones; and a staff member insisted that we borrow his throughout our stay. They were all so incredibly nice. We weren't honeymooning, but after a long night out we came home to a candle lit pool with flowers throughout. Such a romantic surprise that we'll never forget. Breakfast was great! The massage services were nice too. The pool was amazing. It was huge and clean. Even the room was very spacious and comfortable! we were treated like a king and queen. The staff are very professional, kind and friendly. Lock in a great price for Bali Prime Villas – rated 8.7 by recent guests! 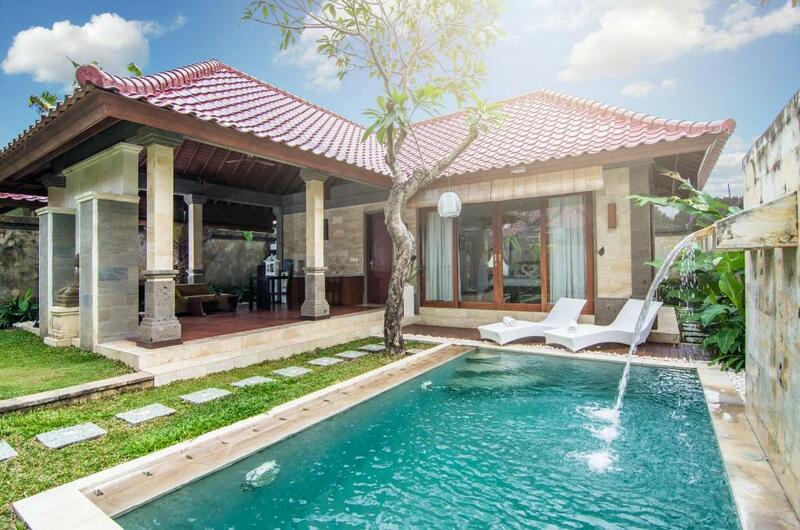 Bali Prime Villas This rating is a reflection of how the property compares to the industry standard when it comes to price, facilities and services available. It's based on a self-evaluation by the property. Use this rating to help choose your stay! 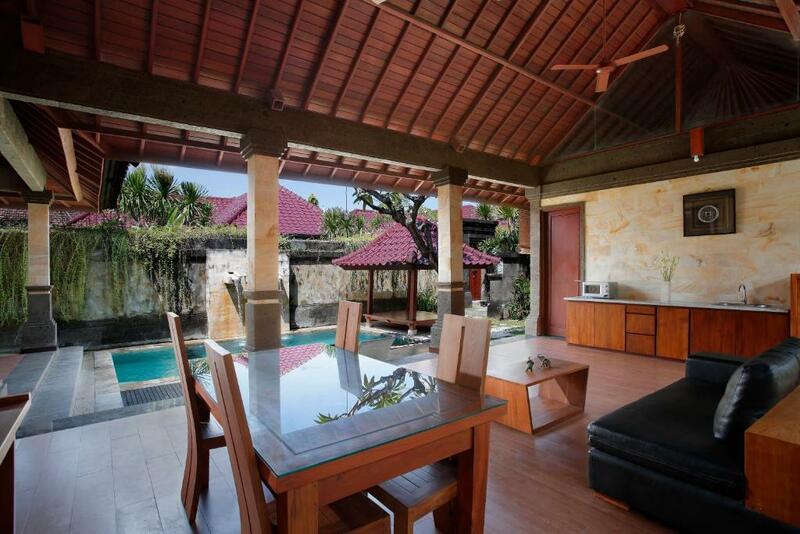 Located a 5-minute drive from Seminyak area, Bali Prime Villas offers a garden, terrace and a restaurant. Free WiFi is available in all areas. 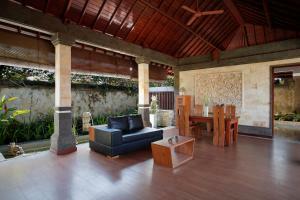 The property also offers free return airport transfer and free shuttle service to Seminyak area. 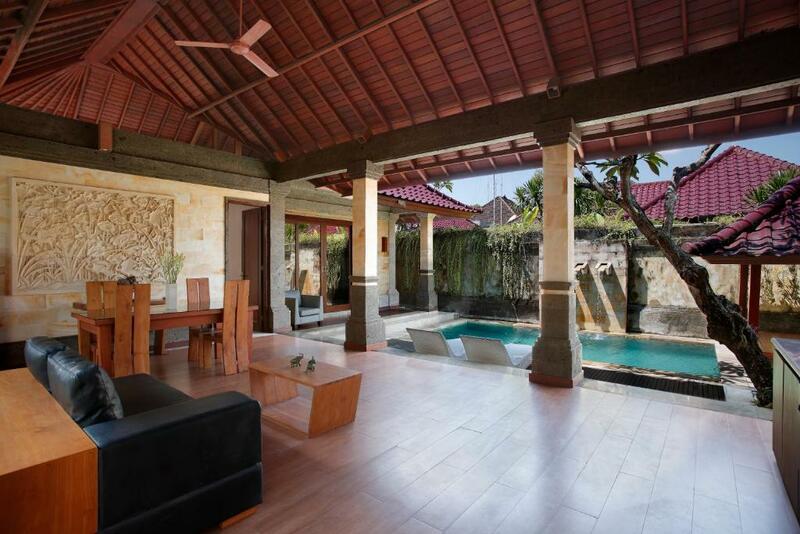 The well appointed villas feature a private outdoor pool, spacious living room and dining area. Fitted with air conditioner, flat-screen satellite TV and DVD entertainment system. Fully equipped kitchen includes a microwave, refrigerator and mini-bar. Private bathroom comes with bathtub, shower and hairdryer. Relaxing massage and spa treatment can be done in the villa. The 24-hour front desk cab assist in babysitting and laundry services are available at an additional fee. Free shuttle services to Kuta Beach is available. Guests enjoy the convenience of 24-hour room service and daily breakfast served in villa. Other dining options can be found within a 10-minute drive away. Ngurah Rai International Airport is a 35-minute drive from the property. When would you like to stay at Bali Prime Villas? This one-bedroom villa with private pool features a marble bathroom with sunken bath, a living and dining area, as well as a fully equipped kitchen. 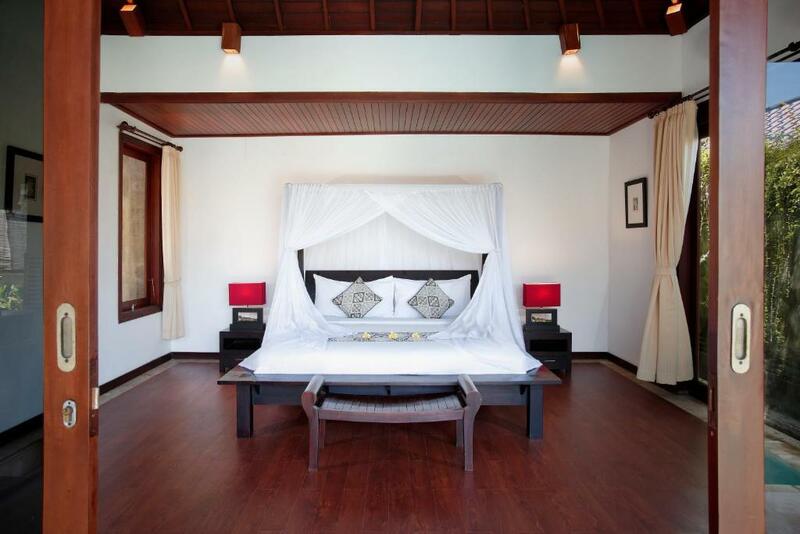 The bedroom is air conditioned and comes with marble floors, desk and a flat-screen TV with DVD player. This two-bedroom villa with private pool features a marble bathroom with sunken bath, a living and dining area, as well as a fully equipped kitchen. The bedroom is air conditioned and comes with marble floors, desk and a flat-screen TV with DVD player. - Half-day Uluwatu tour package for 2 people (visiting Uluwatu Temple, Pandawa Beach, Padang-Padang Beach, Jimbaran Bay. This villa has a microwave, DVD player and mini-bar. 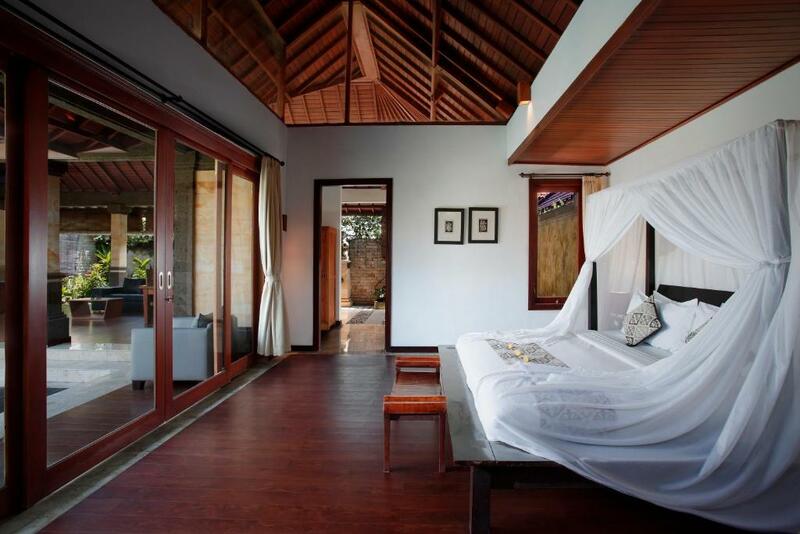 Bali Prime Villas is a sanctuary of tropical splendor. It’s a world class contemporary resort with a team of attentive yet discreet staff who are committed to providing exceptional service. Our Honest team will assist you, during your stay with us. enjoy the convenience of in-villa dining as well as in-villa spa and massage treatments. 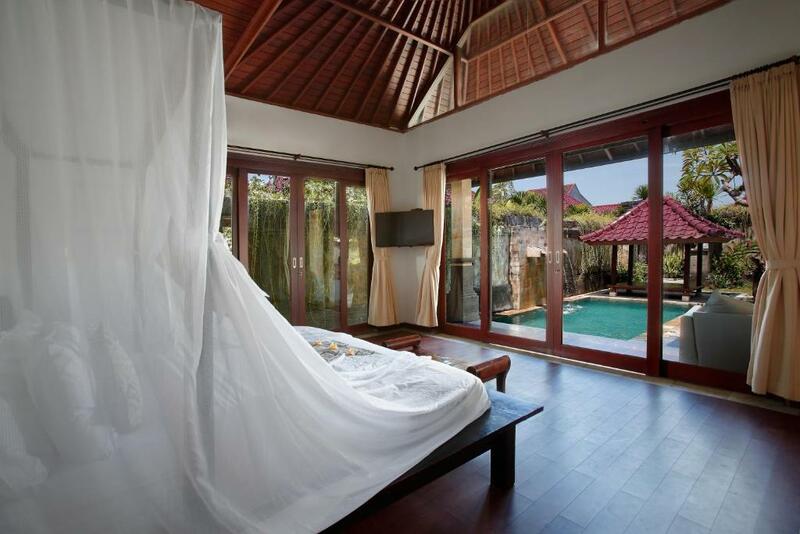 House Rules Bali Prime Villas takes special requests – add in the next step! All children under 16 years are charged IDR 450000 per night for extra beds. Any additional older children or adults are charged IDR 450000 per night for extra beds. Bali Prime Villas accepts these cards and reserves the right to temporarily hold an amount prior to arrival. Please inform Bali Prime Villas of your expected arrival time in advance. You can use the Special Requests box when booking, or contact the property directly using the contact details in your confirmation. Just a bit off the beaten path but the free shuttle takes care of all those issues. Everything!! The bath treatment and floating breakfast options were a great touch. Staff is very helpful. Everything was beyond outstanding! Very pleased with our stay there. Pool was deep for a private one. Too many insects in the Villa. Shower was not comfortable. Wash basin was very high. Pool was nice, breakfast was good. Breed was comfortable. Mosquito galore!! There is a net around the bed to keep the mosquitos out but it doesn’t help. It’s way too small for the bed and when you move around, it moves around. They didn’t offer lunch/dinner options at the villa. Two supermarkets are nearby for food/drink purchases and their was a vegetarian restaurant next door but we like our meat :) nothing is really in walking distance so you have to get a reception shuttle in and a taxi back. The villa was so much bigger than we thought! The pool area was beautiful with a little waterfall. So cute! The main bedroom opened up into the pool area as well! There was a large fridge and cooking utensils available including wine glasses. We opted for breakfast daily which was included in the room price. On our last night we decided to relax and order pizza. We had a bit of trouble so reception was kind enough to help us out and confirm everything in Indonesian. All in all it’s a beautiful villa and I would happily stay there again! It’s just not really walking distance to everything like I would of hoped! Luckily the reception offered free shuttle one way to anywhere in Seminyak! Airport transfer. Rides into town. The bathtub, outdoor shower. There really wasn’t anything to fault. 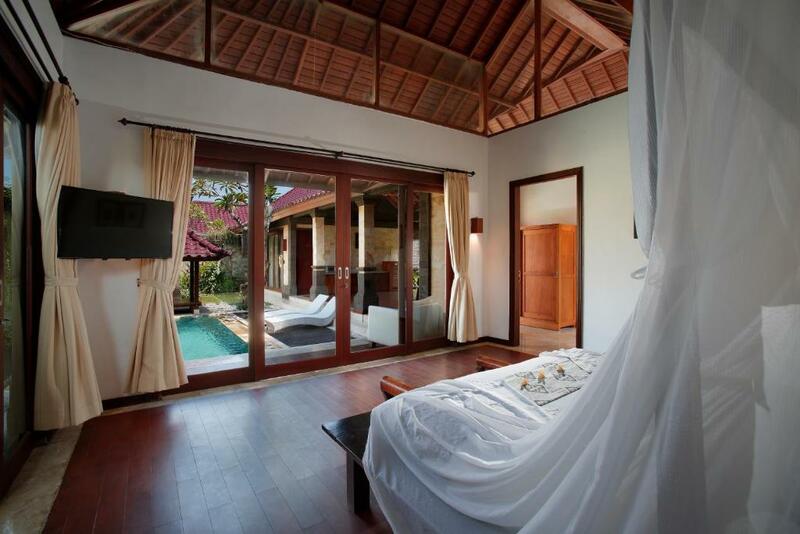 However, the villa is about 10 mins away from Seminyak and when traffic is busy can take up to 20-30 mins. We stayed 7 nights and we felt that there coujd if been a little more variety with breakfast. The villa was beautiful and private. The staff were fantastic and accommodating. I guess the location is a bit far from town, so no restaurants available in walking distance. However, the villa provides room service. And you can order food online via Gojek app. Very easy and convenient! The villa was beautiful and very romantic. The staffs are friendly and helpful. Totally would recommend it!